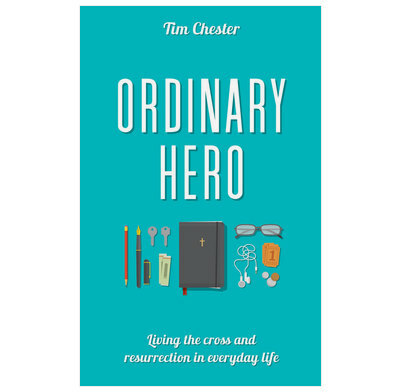 Tim Chester writes about how the Cross and Resurrection call people to a radical way of living. How should we live? What does it really mean to be a Christian believer in everyday life? Intriguingly, when the New Testament writers answered that question, they did not look back to the life of the Lord Jesus. Again and again, they focused on his death and resurrection. The cross and resurrection provide the pattern for discipleship, calling Christians to a new way of living, with different values, different hopes. This lucid, passionate, practical guidebook gets right to the heart of what it means to be a Christian disciple today. The book concludes with a powerful story of an ordinary hero. The included discussion questions make this an ideal book to read together in small groups or as a whole church. 1. How do you know God loves you? 2. Will God's love stand up in court? I've just finished reading this book with another lady at church and it's been a huge encouragement. The book is wonderfully balanced: on the one hand it helps you remember the utter security you have in Christ, the awesome love and mercy he has lavished on you and the unswerving way God equips his children and on the other, it encourages you to respond to the wonderful privilege you have by getting out of your comfort zone to serve Jesus in ways that are radically and wholeheartedly sacrificial. Every chapter is packed with biblical truth that will inspire you to rely more on God and get stuck in to Kingdom work. The best thing is that it is aimed at ordinary people and shows how every single one of us can live for Christ in this fallen world ... It's not about becoming the next great speaker or evangelist, it's about living a life where God's power flows through human weakness. It's accessible, biblical, practical and thought-provoking. I can't wait to read it again with someone else!